If you have any questions or need help with your account, please contact us to assist you. "The manner in which the order for my table saw was handled was absolutely superb. It was delivered to my house 2 days after I placed the order and arrived in excellent condition. I will deal with Tyler Tools anytime I need to order additional tools.... Thank you for the superior service that you provide." At TylerTool.com, we pride ourselves on 100% customer satisfaction. Our customer service representatives are knowledgeable, friendly, and willing to go the extra mile to ensure that our customers are satisfied. Our #1 goal is for you to become a repeat customer. But don't just take our word -- read what our customers are saying! "There is no one on this green earth that should not be ignoring Tyler Tool company online services. I got a tool starter set of 22pc. set for half its price and free s&h on top of the half price. Totaling $58 dollars. In a hard case....My son already used it first. He beat me to it. I wanted to buy other stuff but i'm not able too yet. But you better believe i intend to very soon. Great purchases at great prices, i don't know how they're doing it but get yours while they're still offering reasonable pricing. Thank you ever so kindly Tyler Tools. I glad i'm registered on your site. "—Ronald V.
“Tyler Tool is simply the best place for tool deals! Shopping there is like Black Friday every day. I recommend them highly!”—Carlos G.
“My shopping experience with Tyler Tool Co. was excellent as always.”—Stephen L.
“One of the items I ordered was on sale, but only available if it was "in stock". When I placed the order it was confirmed as being in stock and was to be quickly shipped. When my package arrived the statement said the item wasn't in stock. It seems like Tyler Tool would stand by their commitment or at the very least provide some timely notice. The item I ordered was on sale locally, but I missed that sale waiting for the one I ordered. I was surprised by this poor service. I've made many purchases from Tyler Tool in the past and have always been happy.”—Steve M.
“About a good a vendor as you can get on the internet these days”—Warren B. “We have purchased a number of items from Tyler Tool and have never been disappointed. The items were as described, their prices are the best in the business, shipping is prompt and arrives undamaged, and their customer service is superior. We seldom shop around as our experience has demonstrated they are the best”—George P.
“The only problem I had is the nails for the air finish nailer are on backorder. Other than that I was very happy with Tyler Tool's service.”—Karl M.
“Finding the tool I needed on the internet was horrible until I found the Tyler Tool website. From that point on, everything was cool. The tool that I purchased was exactly what I wanted (bench sander) and the price was better than I paid for the one ...that I was replacing from 3 years ago. The only problem that I had was that the belt broke as soon as I turned it on. That problem in no way reflects on Tyler Tool Co. and I will probably use them for ALL my online tool purchases in the future.”—Stephen E.
“Tyler Tool Company is an excellent choice! I knew exactly the product that I wanted to buy and they had it in stock and shipped it out promptly. Personnel were helpful and courteous If I needed an answer to something that they advertise, I would not hesitate to purchase from them again. ”—Gordon O. “Found exactly what I needed for the lowest cost....arrived quickly! 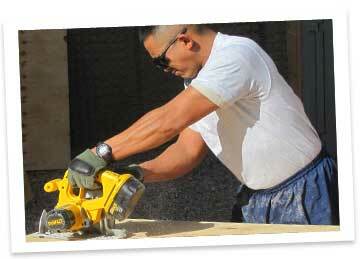 Will definitely order from them again.”—Bob M.
“This Dewalt drill was better than expected. Delivery was sooner than expected and it even fit my wifes hand. Thanks for good service,will purchase again from your power tool store.”—Robert B. “This is just one of many purchases I've made from Tyler Tool. Their prices and selection of name-brand tools are the main reasons, but everything else about their website works well and their customer service is excellent.”—Larry D.
“1st time visit to the site and found it to be a great place to shop. Prices are very competitive and the shipping was very reasonable. Shipping and delivery was fast. Will definitely visit and shop at Tyler Tool Co for future purchases. Thanks!”—Steve W.
“Have no hesitation recommending this merchant. Very professional, helpful, and timely. "—Merle G.
“The sander came as advertised and in a sealed shipping carton. It was easy to order and pay for using credit card. I would recommend Tyler Tool to anyone who uses tools. So far I have never had a problem using Tyler Tool online services. Shipping ...cost was reasonable and delivery timely.”—Edmund K.
“I saw this Dremel rotary tool at tyler tool, and it was about $20 cheaper than anywhere I found for single lot sales. The model I was interested in was in stock, ordering was easy and intuitive, shipping costs were very reasonable. Could have used ...a couple more shipping options, but at the rate these guys ship, it was no problem at all. Very quick. The tool is just as advertised. This being my first Dremel, I was expecting a loud, vibration-laden hard plastic tool that was part of the necessities of a well rounded tool garage. What I got instead was this elegant, easy handling corded instrument that, even with speed at maximum, wasn't nearly as loud as I thought. I don't even need hearing protection (unless during extended operating times, of course). Overall, very pleased with the buying experience. Well done TylerTool.com!”—Pat M.
“Good folks to deal with. They take care of business. Have bought many items over past nine months, NO PROBLEMS.”—Leland W.
“Before I purchased the power tool, I contacted the store and was able to talk with a sales associate regarding their order and shipping process. The associate was very cordial. The product I ordered was shipped immediately, packed very well and arrived within 3 days. I would recommend this company for overall great service. ”—Gregory T.